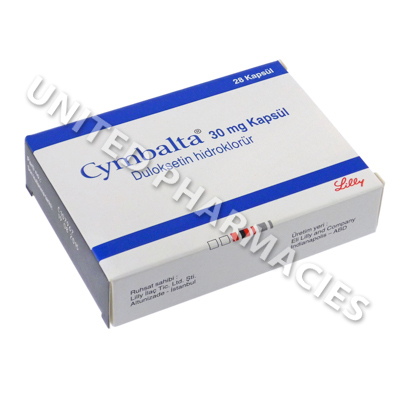 Cymbalta (Duloxetine) is widely prescribed as a treatment for depression and GAD (generalized anxiety disorder). Other common uses include treating pain caused by fibromyalgia, peripheral neuropathy (nerve pain) in diabetic patients, chronic back pain and other related conditions. 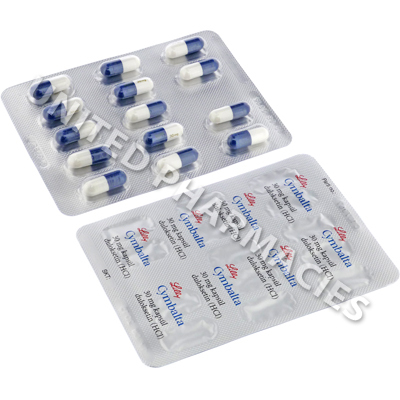 Cymbalta (Duloxetine) is widely prescribed as a treatment for depression and GAD (generalized anxiety disorder). Other common uses include treating pain caused by fibromyalgia, peripheral neuropathy (nerve pain) in diabetic patients, chronic back pain and other related conditions. It has recently been the subject of much medical research, to investigate its potential benefits in treating chronic fatigue syndrome, interstitial cystitis and as an add-on treatment for stress urinary incontinence. This drug is a type of SNRI (serotonin and noradrenaline reuptake inhibitor). It relieves depression by prolonging the positive effects of noradrenaline and serotonin released in the brain. These chemicals (noradrenaline and serotonin) can help to improve the mood, energy level and appetite in patients affected by depression. They can also help to prevent the movement of pain signals, which helps to provide relief from pain. Cymbalta (Duloxetine) comes as capsules. A full medical examination and assessment will be required to determine a suitable dosage regimen. In certain instances, adults treating anxiety may be prescribed an initial dosage of 60mg, taken once per day. At the discretion of the prescribing doctor, this dosage may be increased in 30mg increments, however, the maximum dose is 120mg per day. Certain patients may be told to start out on a dose of 30mg per day, which may then be increased by their doctor. Depression, pain and other conditions may require different dosage regimens, and all patients must only take the amount of medicine that their doctor tells them to take. If you feel that you are unwell, or are suffering from side effects, you should visit your doctor. Severe reactions requiring immediate medical attention include blistering or peeling of the skin, fever, problems related to vision, abdominal inflammation, extreme fatigue and other symptoms which have not been mentioned here. Although antidepressant medications may treat depression in some patients, there is a slight risk that it will worsen depression or cause suicidal thoughts in a small number of patients. Younger people (such as those aged 25 or less) are more at risk of this. Discuss all possible risks of treatment with your doctor before starting treatment. Patients should note that abruptly stopping treatment with this medication may result in withdrawal symptoms. Ask your doctor if you are concerned about this. Always use Cymbalta (Duloxetine) as you have been prescribed by your doctor. Never self-medicate or change your dosage without first consulting your doctor. The correct dosage can vary depending on your health, medical history, and the severity of the condition being treated.